Tickets go on sale to the public on Saturday, February 9, 2019 at 10am. Two-time Grammy Award winner, Mariachi Los Camperos was created in 1961 by Natividad “Nati” Cano. Mr. Cano played a fundamental role in the development of mariachi music in the United States by training and mentoring new generations of musicians. 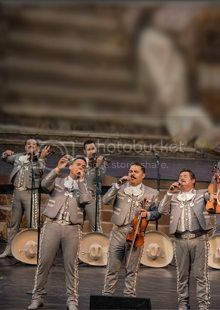 This giant of the genre was a visionary leader who wanted to take the mariachi performance out of customary locations such as Cantinas and into concert halls where celebrities performed. Nati Cano fulfilled his dream by presenting Los Camperos and performing at multiple theaters, opera houses, concert halls, and casinos where mariachis had never previously performed including New York’s Carnegie Hall, Washington DC’s Lincoln Theater among many others. Ticket prices: $37 - $51.